ECS 2019 – TTC (Tennants Textile Colours) would like to thank all our Customers and Suppliers as well as all those who visited our booth during the 2019 European Coating Show (Mar 19-21st) in Nuremberg. 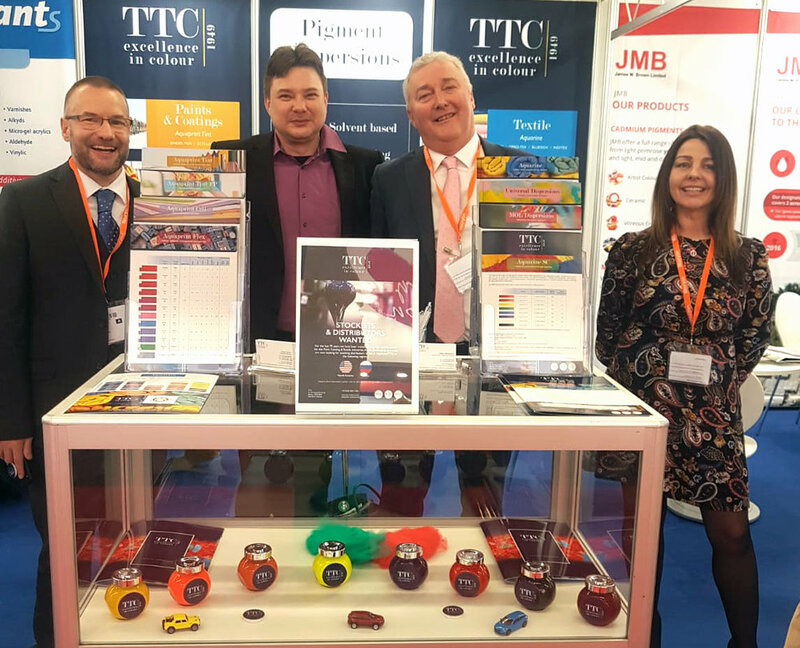 You helped make it a great show for TTC and it was a fantastic opportunity for the TTC team to catch up with all in the industry and review the latest trends and requirements for Colour Dispersions. The team came away from the show feeling energized based on great discussions with customers and requirements from potential new customers! As we work to grow our business and presence, expand into new markets and introduce new products its critical we stay close with you, our customers. We thank you for your continued support and look forward to growing together. TTC new product ranges such as colour dispersions for Seed Coating (Aquarine SC) and our EN71.3 & 71.7 approved Toy & Finger-paint (Aquaprint Tint FP) colour dispersions both proved a big hit and generated a lot of interest. On top of this our long established ranges for Paint (Aquaprint Tint), Ink (Aquaprint Flex) and Solvent also garnered a lot of attention at the show. In the coming days/ weeks months we will be back in contact with all those who made inquiries at our stand during the show. We look forward to the opportunity to provide our quality colour dispersions for your applications and will be working hard to win your business. We’ve been working hard over the past year to achieve 5S compliance and first phase is complete! This has improved our workplace efficiency, safety and workforce morale. Our 5S efforts will continue in the coming weeks & months as we work hard to continuously improve. Last month we made our annual visit to ECS, it was great to meet existing customers and discuss our continued commitment and dedication to each of them. It was also brilliant to meet so many new contacts, we look forward to establishing new business relationships with these enthusiastic business as we go forward. Connect with us on LinkedIn to keep up to date with our latest news and information. AQUAPRINT TINT FP - New! Aquaprint Tint FP is a range of aqueous pigment dispersions for the colouration of Finger Paints and is fully compliant with the latest EN71.7 regulations. Stuart started with TTC in November as Commercial Manager and heads up the TTC Sales Team. Stuart brings over 20 years of technical sales experience to further enhance our team and help drive the TTC growth plan. 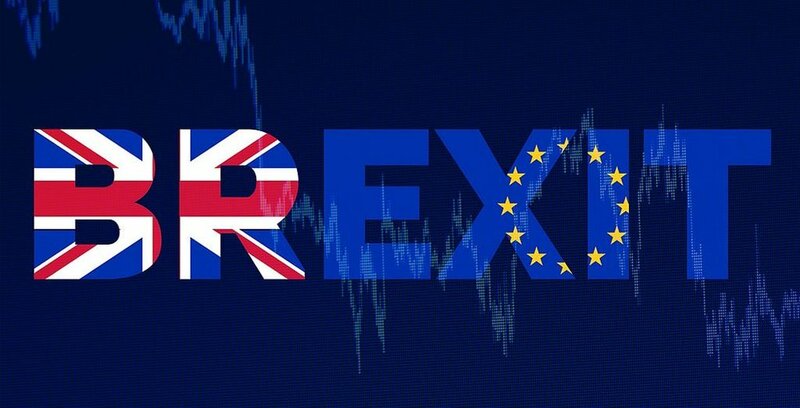 With so much uncertainty still surrounding Brexit we want to assure our customers that TTC has put contingency plans in place to ensure continuity of supply for our customers both inside the EU and outside the EU in the event of a ‘no-deal’ Brexit scenario. Our preparations for Brexit are mainly in relation to the major areas of imports of raw materials and exports of finished goods, and ensuring we are able to provide continuity of supply to our customers. TTC has increased stockholding of raw materials significantly to mitigate against potential supply issues. For customers in the EU we have set up a finished goods location in Dublin (within EU) to hold buffer stocks for customers in the event of border delays post Brexit. Matters will evolve as we progress towards the leave date, however if you have any further queries please contact us.